ENHANCE THE DINING ROOM EXPERIENCE. MAXIMIZE DRIVE-THRU PERFORMANCE. QSR customers expect more than just fresh food served fast – they want a consistent, quick and welcoming experience. Trusted by all 50 of the top QSR brands, 5 North Media has the expertise to help you exceed expectations and build lasting customer loyalty for the repeat sales your business relies on. Fast, clear communication is always good. At your drive-thru, it’s absolutely critical. 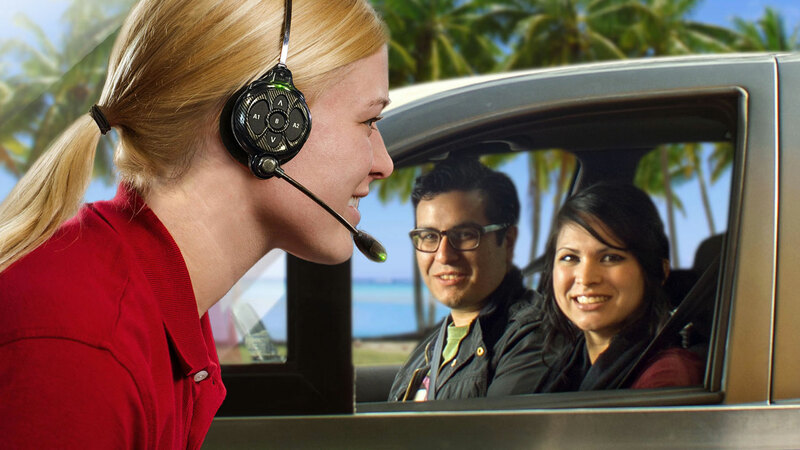 5 North Media has over 35 years of drive thru experience and Our drive-thru team understands the unique needs and challenges of the QSR industry. We offer high performance equipment and full-service maintenance programs that won’t let you down during the rush. In the QSR industry, you need reliable signage systems that perform. Surveillance systems allow owners or authorized employees to monitor critical areas continuously, in real time. Select from 160+ handcrafted music programs or create your own custom playlist. Fully licensed and screened for content and lyrics. Easy to integrate with customized dining room and back-of-house overhead messaging. Entertain your guests while promoting your business with Mood TV for QSR. Our exclusive commercial TV offering combines family-friendly programming with the power of digital signage – no competitive commercials included. It’s like having your very own fully-branded, private local TV network. Improve menu visibility, reduce perceived wait times and maintain compliance with menu regulations. Easily manage content for one or multiple locations from anywhere in the world. Dayparting and seasonal scheduling available. Enhance the dining room experience and promote offers with location-based mobile marketing technology. Deliver custom content directly to your guests’ smartphones while gathering valuable data. Enjoy clear, crisp sound with affordable systems from industry leading manufacturers, including Klipsch and Bose. Commercial-grade television screens professionally installed. Start your business with us! From small business to national brands, whatever the size, 5 North Media brings years of experience with in-store music and audio visual design to optimize your workplace and customer experience.